The ultimate solution for component analog video signal analysis, the VM5000 delivers comprehensive characterization of video fidelity, signal quality, and standards compliance. With available options, the instrument automatically assesses conformance of video signals to applicable EIA-770.x, SMPTE-274M, 296M, and VESA standards. Traditional “TV” signal fidelity is evaluated utilizing industry-accepted parameters, making 150 individual measurements automatically in less than 15 seconds. PC graphics signal fidelity is assessed via comprehensive RGB video and HV sync measurement parameters made in accordance with VSIS test procedures. Preloaded reference and limit files enable go-no go evaluation to applicable DMT, CVT, or GTF timing standards. These unique capabilities enable in-depth signal analysis, speed product development, and ensure new designs comply with applicable standards. Fast, accurate, and objective video measurements enable manufacturers to ensure that HDTV or PC graphics video signal quality is up to the challenge of today’s high performance displays, as well as providing clear differentiation between input signal and display device impairments. The VM5000 offers intuitive Windows-based configuration and measurement menus for easy operation and minimal training. A 10.4 in. (264 mm) color display provides a bright, clear, and crisp display of waveforms and measurement results. Users can easily navigate through logically arranged menus and make selections via radio buttons with a mouse or optional touch screen. Complicated instrument setups, algorithm selection, programming, and other undesirable aspects of making video measurements are eliminated with the VM5000. Configuration is as simple as selecting the video format and measurement parameters from an on-screen menu, eliminating complicated instrument setups, tedious manual measurements, and time-consuming results correlation. These test configuration settings can be readily saved, recalled or copied, further simplifying test of multi-format video devices. 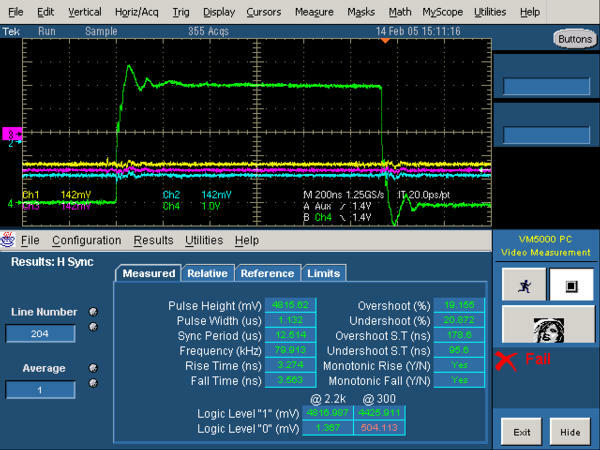 Users wanting to make manual measurements can exit the automated measurement application and then access a full-featured oscilloscope. The VM5000 can be flexibly configured to support any combination of component analog SD, HDTV, and RGBHV video formats with the available options. Broad format support enables automated test of digital set-top boxes, video semiconductors, DVD players, PC graphics cards, and other consumer video devices. *1 Requires VGA to BNC sync combiner accessory, excludes HV sync measurements. 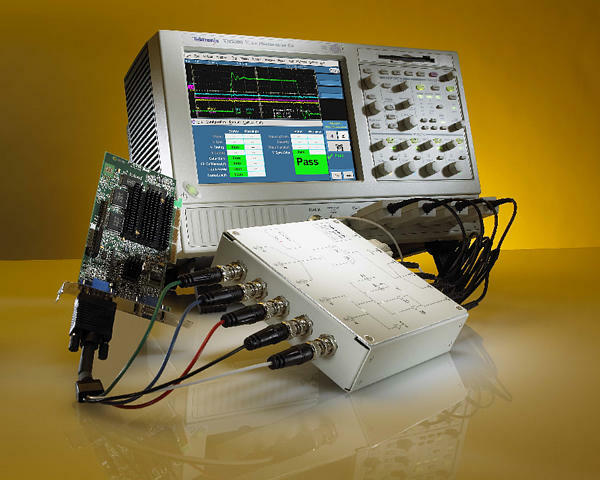 The VM5000 utilizes a digital phosphor oscilloscope platform as the basis for signal acquisition and analysis. 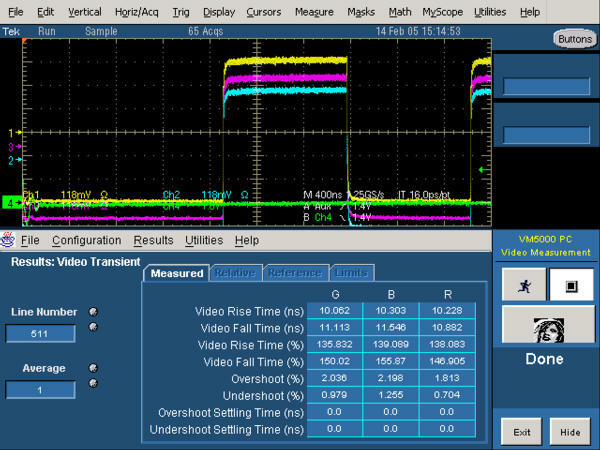 Utilizing proven, high-speed measurement architecture, Tektronix surpasses the limitations of current video analyzers to address the evolving needs of the video industry. The VM5000 offers over 1 GHz of bandwidth and 1.25 GS/s maximum real time sample rates/channel to easily meet stringent HDTV measurement demands – easily assessing frequency response for signals up to and well beyond 30 MHz. The high sample rates and low noise floor of the instrument enable noise measurement accuracy that was previously impossible on HDTV signals. A rise time of less than 400 ps and superior time-base performance are sufficient to make critical sync and rise time measurements as required by EIA-770 and SMPTE 274M and VESA. A large record length and high sample rates deliver measurement results with minimal time lag. The VM5000 incorporates an extensive set of automated video measurements that deliver comprehensive characterization of the fidelity and conformance of component analog signals. 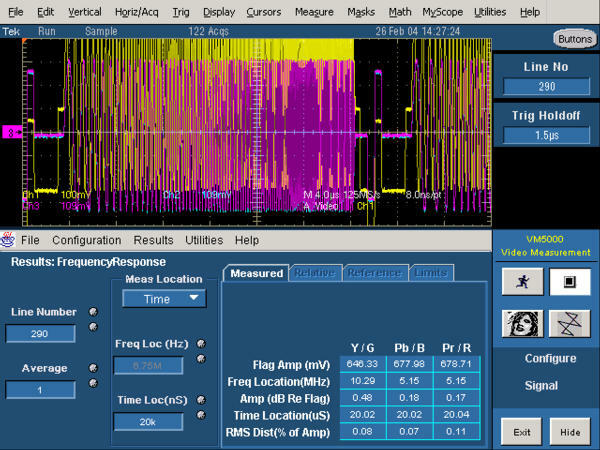 Approximately 150 individual measurements completely characterize video signal amplitudes, timing, and noise distortions into parameter categories that are easily understood, facilitating troubleshooting and design optimization. Enabled by such brad and thorough signal analysis, the VM5000 is able to identify relevant video signal impairments, verify compliance with applicable standards, and ensure operability with connected displays. Measurement parameters have been appropriately selected for testing TV signals (Options SD and HD) and PC graphics signals (Option VGA). These parameters vary by application because of differences in hardware technology, signal attributes, applicable standards, and historical test methodology. 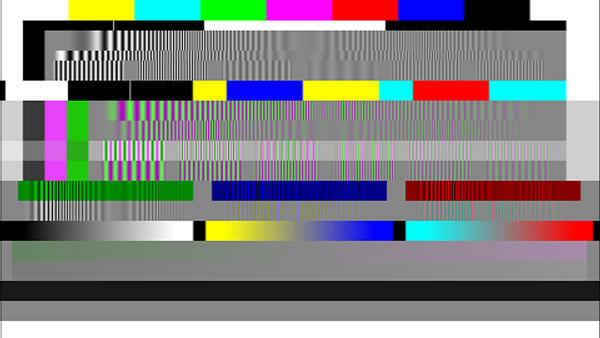 TV test measurements are based on the de-facto industry standard VM700T and have been adapted to assess distortions unique to digital devices and HDTV signals. The PC graphics measurement set delivers fully automated VESA compliance testing and video measurements, as well as reporting other parameters commonly utilized to characterize PC graphics device performance. The VM5000 is differentiated from conventional oscilloscopes, waveform monitors, or modular instruments by its automated video measurements. Automated measurements deliver benefits in terms of speed, accuracy, and ease of use that almost obsolete manual approaches, and even user developed programs. Automating signal configuration, signal acquisition, and data analysis enables robust and reliable operation, impervious to signal variations. The VM5000 applies optimized video measurement algorithms and extended data processing to deliver accuracy and reliability that outperforms even the most skilled expert user. Auto Configuration - By selecting the applicable format and desired measurements from the configuration menu, the VM5000 automatically configures gain, offset, and time scale based on the nominal signal values expected. Variations from nominal values are accommodated with auto range capabilities. Auto Range - The auto range feature enhances accuracy and enables automated measurement of signals that vary from nominal levels. This feature automatically optimizes gain and offset based on the signal conditions, enabling the instrument to consistently present the best results possible. Automatic Special Position - The VM5000's automatic special position function ensures that automated measurements are robust to temporal signal distortions, alternate test signals, and alternate output display modes. Always active, this feature identifies appropriate test signal events and sets measurement cursor locations optimally to ensure consistent and meaningful test results. Measurement location selections made by the VM5000 can be analyzed or documented with the selectable feature included in the report generator. Auto Mode - Auto Mode enables users to instruct the instrument to make one, selected, or all automated video measurements with a single a run command. While functioning in Auto Mode, the instrument automatically selects the appropriate test signal line, utilizes pre-set measurement configurations and averaging selected by the user, and completes each measurement. 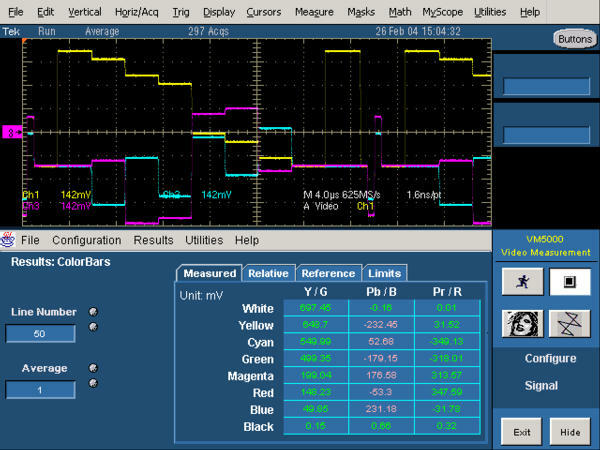 Option VGA includes multi-line measurements capability, enabling users to measure selected parameters on many or all lines in a frame with a single run command. Measurement Cursors (Special Position) - Options SD and HD address requirement for custom signal analysis by enabling users to input customized measurement locations for the Frequency Response and Noise measurement parameters. For frequency response measurements, users can select either timing location input or frequency input to make response measurements anywhere within the supported video bandwidth utilizing a standard sweep signal. Input locations can be further toggled within YPbPr signals to accommodate either 4:2:2 or 4:4:4 video. This enables detailed analysis of roll-off, frequency distortion, identification of spurs, and aliasing anywhere across the useful frequency spectrum. Flexible Noise Measurements - Options SD and HD offer the capability to make both weighted and un-weighted noise measurements. Default selections for bandwidth cut-off filtering are automatically via the format configuration; however, users can enter other bandwidth cut-off filter selections if desired to clarify noise characteristics. Measurement locations may also be input by users for the noise measurement. This is most useful when used in conjunction with the Noise Spectrum display, simplifying identification of the frequency and relative magnitude of noise peaks in the video signal. 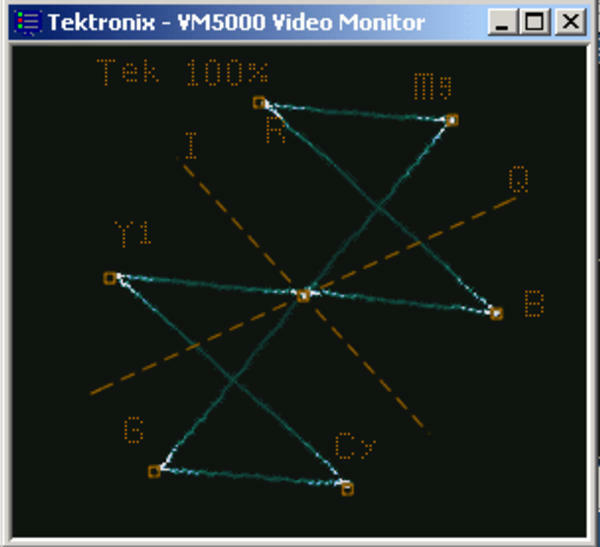 Tektronix addresses these industry test requirements with VM5000 Option VGA, the first and only “VM” class solution for PC graphics signals and devices. Option VGA automates signal analysis and mandatory VESA standards compliance testing, speeding design validation testing that is typically performed with the release or modification of PC graphics hardware, software, or integration of complete video system. Option VGA supports pervasive analog RGBHV signal formats typically communicated via VGA, DVI-I, or DVI-A interfaces. Automated measurement is possible for 11 standard signal resolutions spanning from 640x480p (VGA) through 2048x1536p (QXGA), at selected vertical refresh frequencies from 50 to 120 Hz. Because non-standard signal resolutions, vertical refresh frequencies, or blanking are common with analog RGBHV signals, Option VGA offers capability to automatically test unsupported video formats. A user-defined format configuration utility enables users to easily create, edit, or recall custom modes and seamlessly access the full test automation of the VM5000 instrument. Approximately 150 video measurements can be performed for each supported mode, delivering a comprehensive assessment of RGB video fidelity, HV sync quality, and format conformance. Parameters and test methods are based on industry standard (VESA) test procedures, enabling easy comparison against the requirements of the Video Signal Standard (VSIS) and applicable DMT, GTF, or CVT timing standards. Convenient averaging and configuration controls deliver the flexibility to perform either speedy or precise measurement in accordance with VESA sampling requirements. A full suite of comprehensive RGBHV video parameters can be measured in less than 5 minutes. Pre-loaded signal reference data and tolerance limit files simplify results analysis, eliminating laborious spreadsheet entry and computation. Test results, and even waveform screen captures can be quickly documented with reports that can be automatically generated, printed, and saved. An innovative set of PC graphics matrix test signals has been created to enable comprehensive signal characterization for the full range of supported formats. These signals, working in concert with a remote controlled measurement interface unit, enable fully automated testing with a single run command. The included measurement interface unit provides connectivity, signal termination, automated switching, and variable loads for sync voltage tests. This approach eliminates the need for expensive FET probes, and delivers optimized accuracy for both DC amplitude and high frequency timing measurements. Because DTV has resulted in a proliferation in video source content and signal formats, test signals are provided in a variety of pervasive formats to enable easy generation and extended format testing. Since encoded test signals may contain artifacts that detract from measuring the analog signal fidelity, the matrix test signal is also provided in MPEG-2 encoded elementary and ATSC transport streams. To ensure the encoded signal is accurate, Tektronix has pre-qualified the matrix test signal for each native video format. 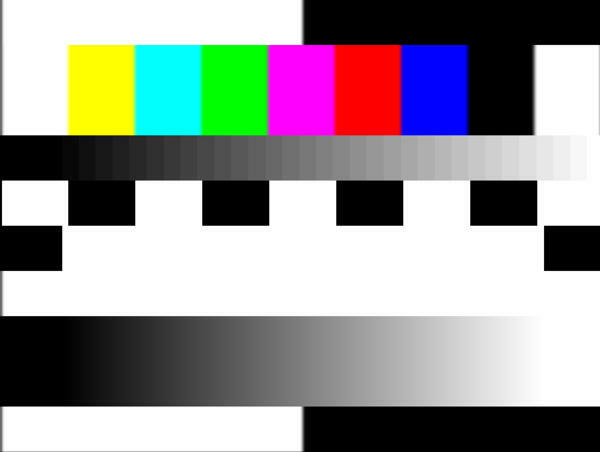 HDTV Matrix Test Signal - A specific matrix test signal has been created to enable efficient and comprehensive test of component analog video signal fidelity. 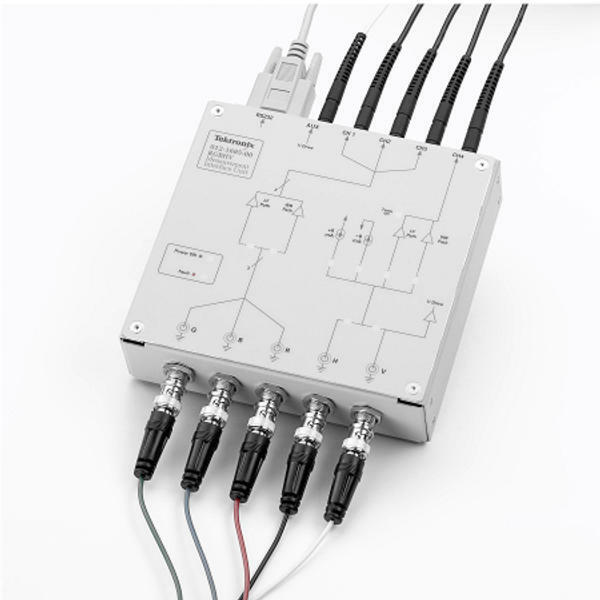 The matrix signal includes a range of test signals on different lines to enable video test without the inconvenience of switching full field signals, and contents have been customized to exercise the full bandwidth capability of each format. One signal can be flexibly utilized for both RGB and YPbPr color spaces, thereby minimizing test signal proliferation. The HDTV matrix test signal is supplied in a variety of file and signal formats to enable convenient and comprehensive test of set-top boxes and other consumer video devices. High quality encoded ATSC transport stream and compressed elementary stream files are supplied for easy play-out on a Tektronix MPEG player such as the MTX100A. PC Graphics Matrix Test Signal (Option VGA) - VESA compliance and certification testing requires that several different types of test signals be applied to the device under test. Option VGA includes test signal files for these patterns, in both full field and matrix forms for the full range of supported image resolutions. Test signal files are provided in .bmp and .png file formats. VESA compliance and certification testing requires that several different types of test signals be applied to the device under test. Option VGA includes test signal files for these patterns, in both full field and matrix forms for the full range of supported image resolutions. Test signal files are provided in .bmp and .png file formats. The .png files are beneficial because they enable HV timing measurement to be made without the border artifacts potentially introduced by bitmap files. Picture and Vector displays can be initiated with a single button push and deliver “at a glance” confidence checking that simplifies signal identification, troubleshooting, and color conversion accuracy. Waveforms are simultaneously displayed with parametric test results to enable visualization of signal impairments. By selecting Picture mode, a full color picture display is rendered on screen from the connected sub-sampled and down converted signals to the available picture area and resolution. Pictures by default appear in an appropriate 16x9 or 4x3 aspect ratio; however users can resize, move or minimize the window as needed. Picture mode incorporates a user-enabled bright line select feature to facilitate test configuration. Live or full motion video signals can also be viewed at vertical refresh rates of 1-2 fps. 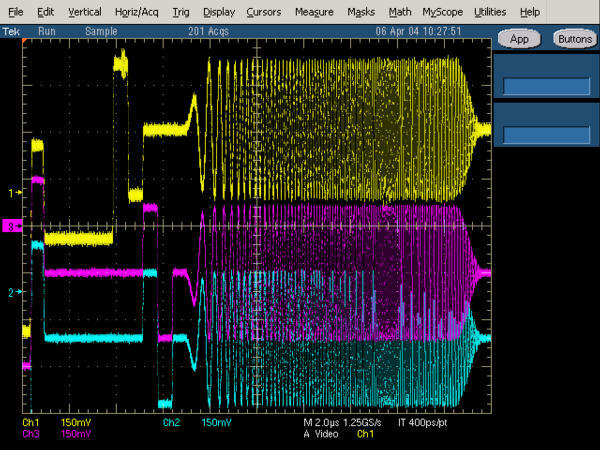 Waveforms for all channels are simultaneously viewable in different colors, and display can be zoomed both vertically and temporally for detailed examination and analysis. Users can selectively expand the waveform to the full display size by minimizing the measurement application. The VM5000 offers a powerful combination of test utilities and custom displays to make HDTV video test faster, more robust, more convenient, and more accurate. These utilities supplement basic automated measurement capabilities to deliver performance and value unmatched by any other solution. Combined with the extended documentation utilities, these powerful automated measurement utilities and features ensure that the VM5000 meets the demands of all application areas. Research and Development, Quality Control, and Production Test personnel can tailor the instrument settings to meet their particular needs for robust acquisition, speed, or accuracy. By automating measurement functions, video professionals are ensured that automatic measurements are robust, accurate, repeatable, and completely objective. Summary Test Results Display - For the ultimate in test progress and reporting, the VM5000 incorporates a summary test results display screen. This display enables operators to monitor test progress and acceptability of video signal parameters without having to delve into complicated individual test results. Each of the selected test parameters, measurement progress, pass or fail result per parameter, and test errors, if any, are displayed. Upon completion an overall green or red measurement result flag is displayed. Integrated Pass-Fail Limit Testing - The VM5000 incorporates user selectable pass-fail limit testing. Acceptability of individual parameters or an entire DUT can be assessed without browsing hundreds of individual numerical results. Suitable for use in stand-alone applications, there is a PF summary screen that shows the progress and PF result of individual measurements and an overall DUT PF result based on the selected parameters and user selected limits. When PF limit testing is enabled, measurement results for failed parameters are displayed in an intuitive GREEN-RED numerical result for easy identification of unacceptable or nonconforming signal conditions. 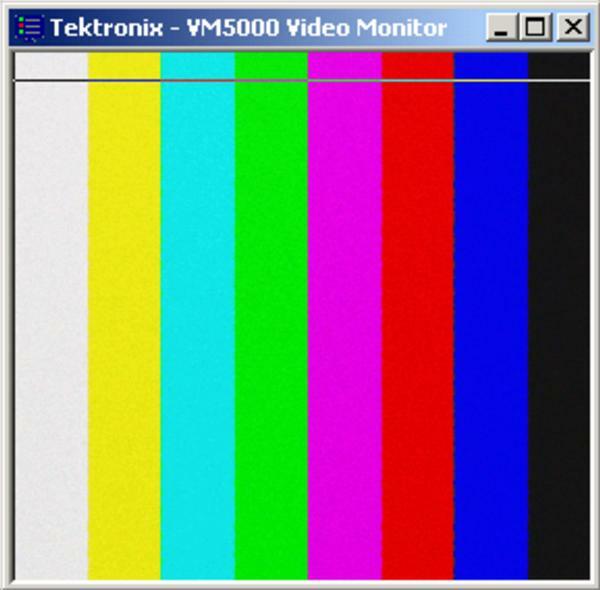 Pre-Loaded and User Definable Reference & Limit Files - Tektronix supplies set of default reference and limit files for the supported video formats for “out of the box” test functionality. 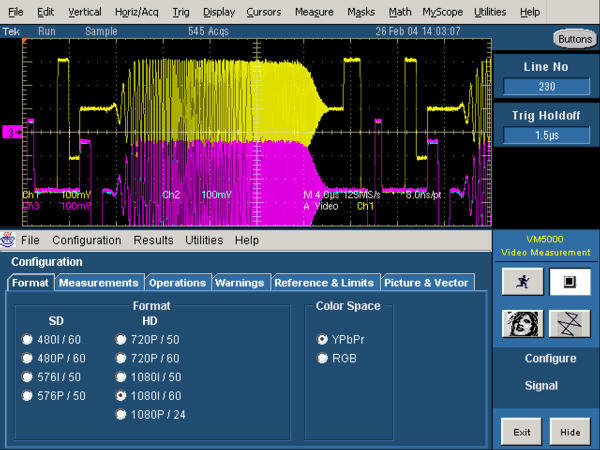 Option SD and HD have been preloaded with SMPTE/EIA standard reference values and Tektronix recommended tolerance limit files. Option VGA has been preloaded with VESA reference and tolerance limit values based on the applicable timing standards. The signal reference data boosts test productivity by minimizing the need to access separate standards or quality documents. Files can be edited with other spreadsheet programs to specify customized target values, conformance limits, or go-no go manufacturing process limits. Reference & limit files can be auto selected by format (default), manually specified, or loaded automatically via pre-set configuration files (.vmset). Flexible Results Displays - To simplify test results analysis, the VM5000 features tabular results menus. Within each parameter group, users can easily browse measurement results, deviation from reference, nominal (reference) value, and max/min tolerance limits for pass and fail. Reference information and calculations necessary to analyze and understand test results are logically organized, and readily available. With limit testing enabled, non-conforming test results are highlighted in red, readily highlighting signal distortions for further analysis. Save & Recall Measurement Configurations - Measurement configuration settings can be stored, instantaneously recalled, or easily copied to other instruments. Factory default settings can also be recalled, if necessary. Reference and limit files are associated with configuration files, and are automatically pulled in with a recall configuration command. This feature speeds and simplifies device testing with multiple display output formats, as users can configure, store, and recall a set-up for each individual format. Reference Capture Utility - The output of a “golden” DUT or reference test signal generator can be conveniently captured and stored as a reference file. This utility enables current measurement results to be readily compared with other measurement results utilizing the tabular results display screens in the results menus. Sync Load Testing - Per VESA standards, H and V Sync voltages must be measured under V1 and V0 conditions with ±8 mA current loads to ensure adequate power is available to handle impedance variations that may occur with connected displays. Option VGA automates this test by providing loads with the remote control MIU. Automatic Report Generator - A report generator utility speeds test documentation by creating an organized, video measurement report with the touch of a single button. Test results, configuration settings, and signal reference data details are summarized in the VM5000 test report. Reports created in .pdf and .rtf formats are organized and suitable for inclusion in certification test results. For data analysis, reports can be output in the form of a .csv file, easily imported into spreadsheet programs. Option VGA even includes the option to embed waveform screen captures into selected report formats. For convenience and enhanced test performance, the VM5000 includes a logical set of complementary video measurement accessories that simplify connection, termination, and measurement. Custom designed sync pick-off and sync combiner accessories simplify measurement of TV signals with Options SD and HD. Option VGA includes a custom measurement interface unit (MIU) that has been engineered to enable precision, VESA compliant and fully automated measurement for 5 channel analog RGBHV signals. The MIU provides termination, signal switching, and a current source/sink, eliminating the need for expensive FET probes or manual switching of cables during testing. Addressing stringent requirements for measurement accuracy, the MIU incorporates an innovative dual input path for RGB and HV channels in order to deliver optimized accuracy for both DC amplitude measurement and high frequency timing measurements. Utilizing RS-232 control, the VM5000 automatically selects either low frequency or wideband mode as required by the parameter being measured. Incorporating a full 1 GHz of bandwidth, with optimized return loss in wideband mode, the MIU delivers unmatched speed, accuracy, and convenience in testing PC graphics signals. A fast and reliable GPIB Port compliant to IEEE 488.2 is standard on the instrument with selectable controller or talk/listener modes. A fully documented oscilloscope GPIB remote command set and simplified video command set enable all of the instrument capabilities accessible via the user interface to be automated via GPIB remote control. Network connectivity is provided with a LAN port supporting 10Base-T and 100Base-T. This enables video test reports or data stored on the hard drive to be accessed via the network. Network remote control can be accomplished via the Tektronix AD007 GPIB to LAN adapter accessory, available separately. TekVISA™ is functional for LAN remote control of the oscilloscope commands. Recognizing the need for flexibility, Tektronix has integrated complete digital phosphor oscilloscope functionality into the VM5000. 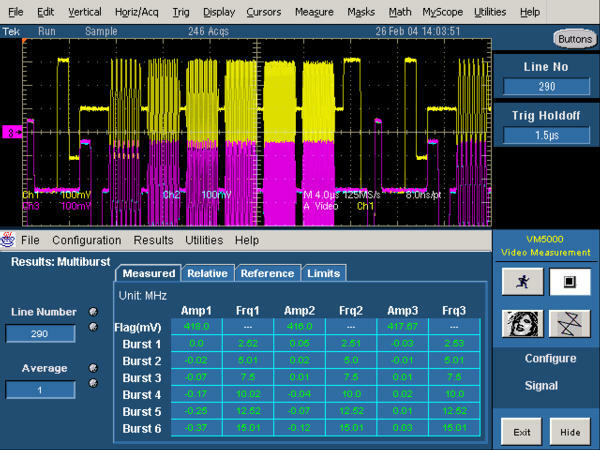 Flexible and dedicated video triggering for NTSC, PAL, SECAM, and analog HDTV is provided in the oscilloscope. Optional application software packages complement the standard oscilloscope functionality to further extend the return and value of a VM5000 platform investment. Oscilloscope functionality and specifications are detailed in the TDS5104B or appropriate application software data sheet(s). Measurement of all 8 bar levels, displayed in absolute (mV) values. YPbPr or RGB formats. Specification requires 30 MHz bandwidth filter setting. Trigger on CH 4 required for measurements below -60 dB. 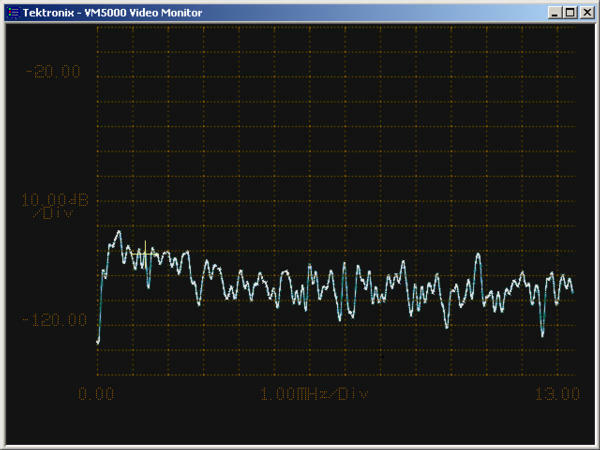 Noise measurement bandwidth selectable, 200 KHz to 250 MHz. Unified Weighting Filter. Multiburst packet frequency is measured and displayed. Non-linearity measurement using a ramp test signal. Incremental linearity reported over five equally spaced intervals, as well as an overall linearity figure for each channel. Blanking interval measurements, including sync amplitude, width, and rise time. CH 1 to CH 2, CH 1 to CH 3, CH 2 to CH 3; readouts in ns. VESA 6.4. Requires step response compliant to VESA limits for overshoot/undershoot, amplitude and settle time. Monotonicity checks every step on the ramp to ensure signal is always rising. Checks sync for always rising and always-falling characteristic. Requires VESA compliant amplitude, noise, rise and fall. Measurement of RGB noise on constant pedestal, 0 to 700 mV. Output in mV pk-pk, dB below 700 mV, VESA Sec 6.6. Displayed value corrected for instrument noise. Specification applies with 500 MHz bandwidth filter and 10 averages selected. Alternate implementation of VESA 6.7; Any two channels. Display Type - 10.4 in. Liquid crystal active-matrix color display. Display Format - YT, XY, XYZ. Operating System - Microsoft Windows 2000. CPU - Intel Celeron Processor, 2.0 GHz. PC System Memory - 512 MB. Internal Hard Disk Drive - ≥80 GB capacity. CD-RW Drive - Side panel CD-RW drive, ≥24X read and write speed. Mouse - Optical wheel mouse, USB interface. Video Input - Front panel BNC connectors (3) for 3-wire CAV. A fourth BNC for separate composite sync or H sync input on RGBHV signals. A fifth BNC (auxiliary input) for V sync on RGBHV signals. Trigger level range is adjustable from +8 V to -8 V. The maximum input voltage is ±20 V (DC + peak AC) and input resistance is ≥1.5 kΩ. USB Port - Two USB 2.0 ports allow connection or disconnection of USB keyboard and/or mouse while oscilloscope power is on. Video Port - DB-15 female connector; connect a second monitor to use dual-monitor display mode. Supports basic requirements of PC99 specification and display resolutions up to 1,920x1,440. GPIB Port - IEEE 488.2 standard, can be configured for talk/listen or controller mode. Oscilloscope VGA Video Port - DB-15 female connector, connect to show the oscilloscope display on an external monitor or projector. Power - 100 to 240 VRMS ±10%, 47 to 63 Hz; CAT II, or 115 VRMS ±10%, 360 to 440 Hz. Power Consumption - <220 W.
3 inches (76 mm) required on left side. *1 From rack mounting ear to back of instrument. Operating - 20% to 80% relative humidity with a maximum wet bulb temperature of +29 °C at or below +45 °C, noncondensing. Upper limit derates to 30% relative humidity at +45 °C. Nonoperating - Without diskette in floppy disk drive. 5% to 90% relative humidity with a maximum wet bulb temperature of +29 °C at or below +60 °C, noncondensing. Upper limit derates to 20% relative humidity at +60 °C. Safety - UL61010, CSA-22.2 No. 1010.1, EN61010-1, IEC61010-1.